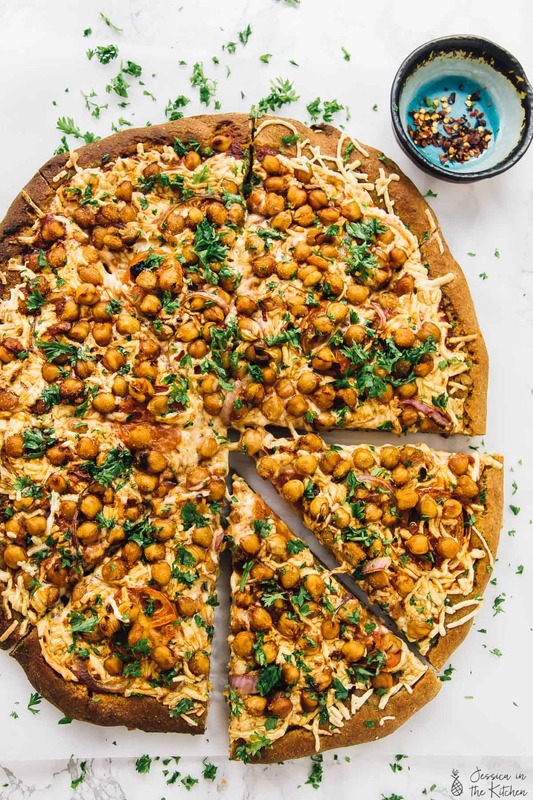 This Vegan Spicy BBQ Chickpea Pizza is a sweet and spicy pizza hit! It’s so easy you can make it on a weeknight while adding extra protein to your meal! Whenever the Mr. and I travel, we make a special effort to try one thing we’ve never tried before. After a myriad of meals that enticed us on our last trip, this BBQ chickpea pizza idea hit me like a brick. It’s one the reasons I love travelling so much – the inspiration is absolutely endless! Needless to say, I’m happy this idea came flying at me at full force. 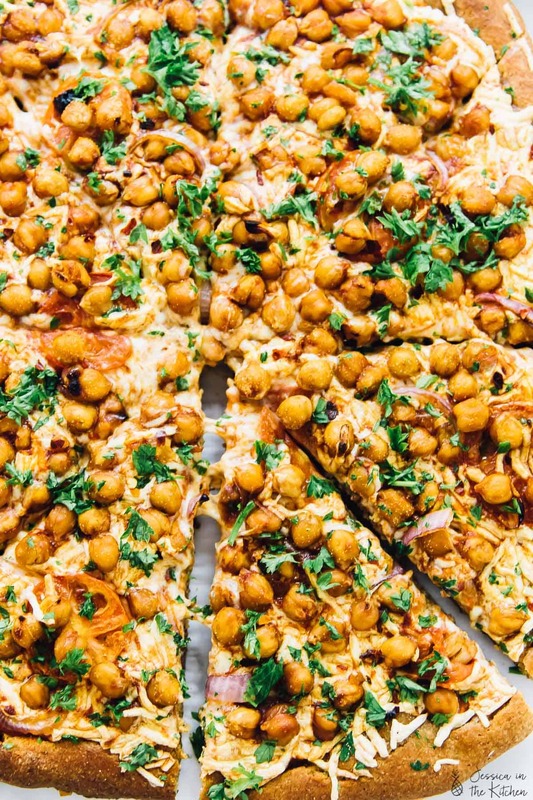 As if pizza wasn’t perfect enough, this BBQ Chickpea Pizza takes it up a notch. It’s extremely delicious, so unique and most of all, easy to make. Oh, you can also definitely make it on a weeknight – it’s that easy to put together. If you’re new around here, you might not know that I pretty much love every type of pizza. I’ve done the traditional, pizza from a wood oven in Naples and pizza from Venice. They were amazing, and because of how much I love pizza, I think pizza should have ALL the varieties. 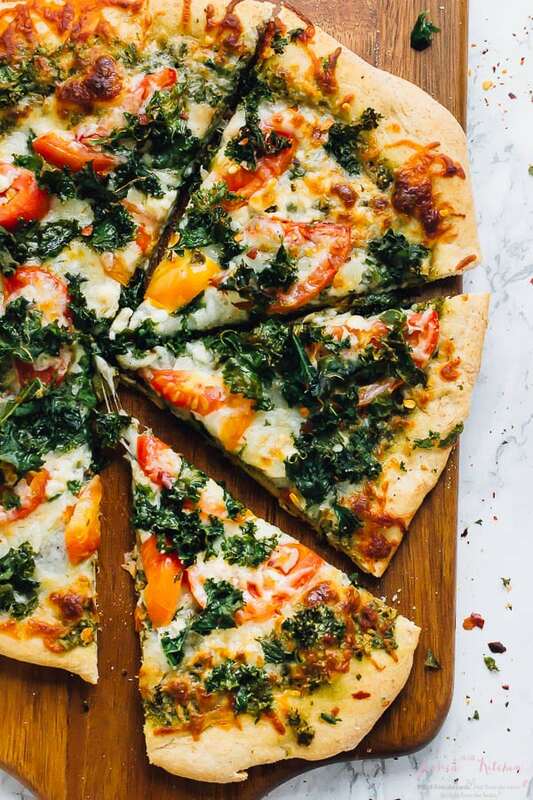 I’ve also loved pizza bites, gluten free pizza, kale pesto pizza, raw vegan pizza, pizza with fruit, grilled pizza…the possibilities are endless. Whoa – is it just me or is staring at the word pizza so long make it start to look spelt wrong? Just kidding – pizza is never wrong, friends. So, how on earth did I come up with this idea?! I’m pretty sure that apart from travelling, there are a few others recipes that I’ve done that truly inspired this pizza. After my BBQ chickpea Buddha bowl which I loved, I experimented with crispy roasted chickpeas – TOTAL winner. I think it was finally after making a variety of chickpea recipes in my ebook (hello avocado hummus) that the endless possibility of chickpeas was clear to me. 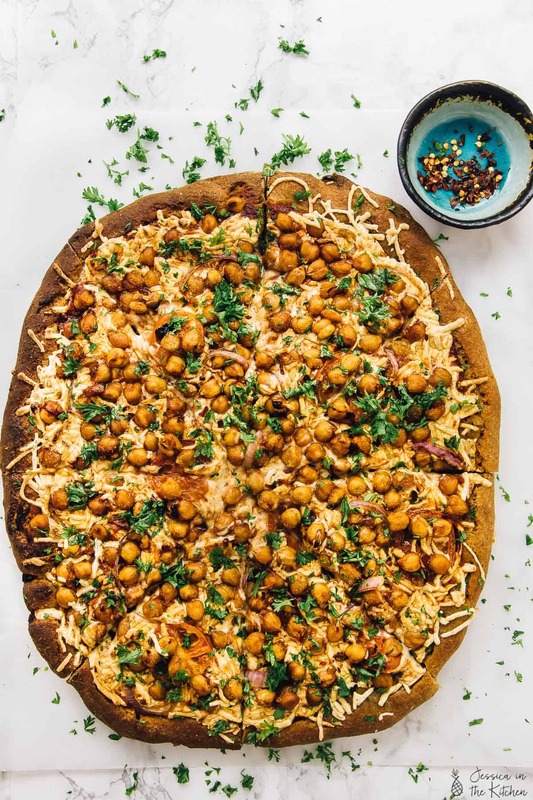 Like I said above, this BBQ Chickpea Pizza idea came flying at me and after seeing all the things chickpeas can do, I knew I had to make this. Making the bbq chickpeas is SO easy. Pour, toss, bake. The chickpeas sink into the pizza dough and the cheese, becoming flavoured with the entire pizza. My strawberry bbq sauce on the chickpeas. INSANE how divine that is. The fact that every single ingredient here works in complete unison. It comes together so quickly that you could make it for a weeknight dinner. Leftover pizza. Need I say more?! This pizza helps to add some extra protein into your meal and day. Win, win. This pizza was a hit on the very first try. 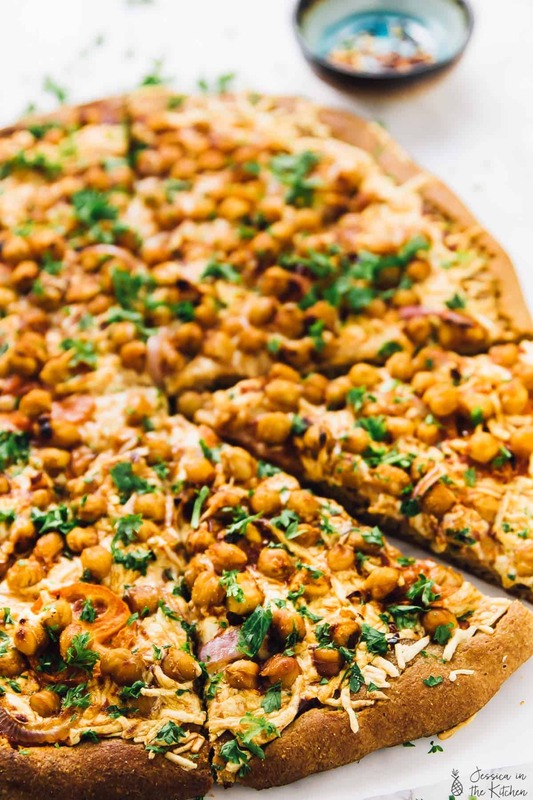 The sweet and spicy contrasted beautifully on the chickpeas, and once essentially roasted due to the heat and baked into the pizza, they are such a welcome addition in every bite. This is such a unique and fun pizza that you definitely have to give it a try. The Mr. also really loved this one, so it’s 100% husband approved too! Whip this up to see exactly what I’m hyping about. P.S. I’m working on perfecting my pizza crust and can’t wait to share it with you!! Preheat oven to 500 F degrees. Place the pizza on a pizza stone (preferred) or baking sheet with a silicone mat. In a small bowl, toss the chickpeas, bbq sauce and hot sauce in a bowl to combine. Set aside. On the pizza dough, spread the tomato sauce over the pizza. Top with the cheese, the tomato slices and the onion slices. They can overlap the edges of the crust if you'd like, or you can leave it bare for a solid crust edge. Add the bbq chickpeas on top. Sprinkle garlic powder all over the entire pizza. Place in the oven and bake for 14-17 minutes, until cheese is melty, and the dough is ready. Check to ensure it isn't burning after the 14 minute mark. If you want you can broil the pizza for a few extra minutes afterwards - just watch that it doesn't burn!! Remove, let cool slightly, and enjoy! Top with chopped parsley for garnish if you want. 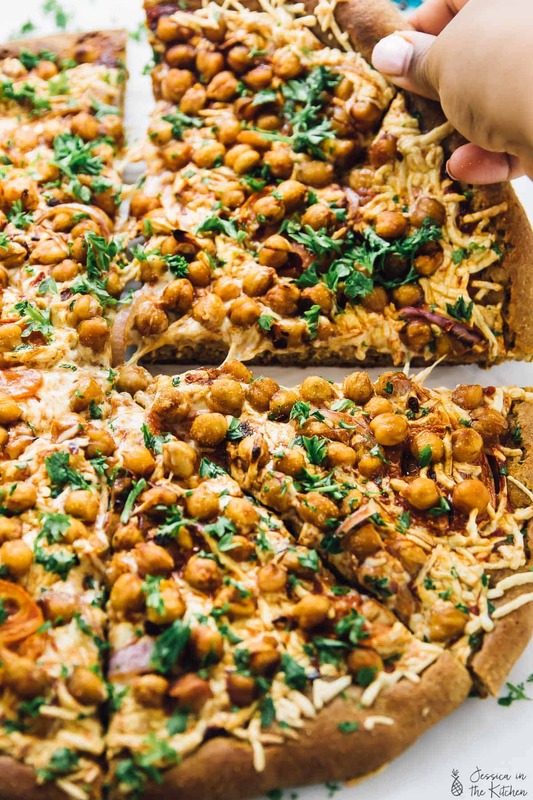 If you try this Vegan Spicy BBQ Chickpea Pizza please let me know in the comment section below, or tag me on instagram with the hashtag #jessicainthekitchen! For more exclusive recipes follow me on Instagram AND on Snapchat: jessinkitchen. 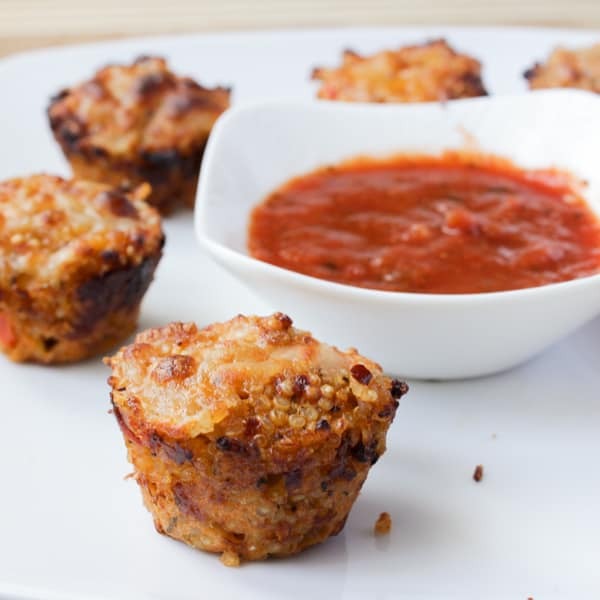 This recipe is vegan and has gluten free options. I recommend using fresh, organic ingredients for the best result, but you can use what you have on hand! It is very flexible! I love using my Strawberry BBQ Sauce and my Homemade Tomato Sauce with Roasted Garlic for this pizza. This looks incredible!! I love the beautiful presentation and the incredible flavors. Chickpeas are the best! what kind of hot sauce do you use? And if you were to buy what kind of BBQ? We use this hot sauce! 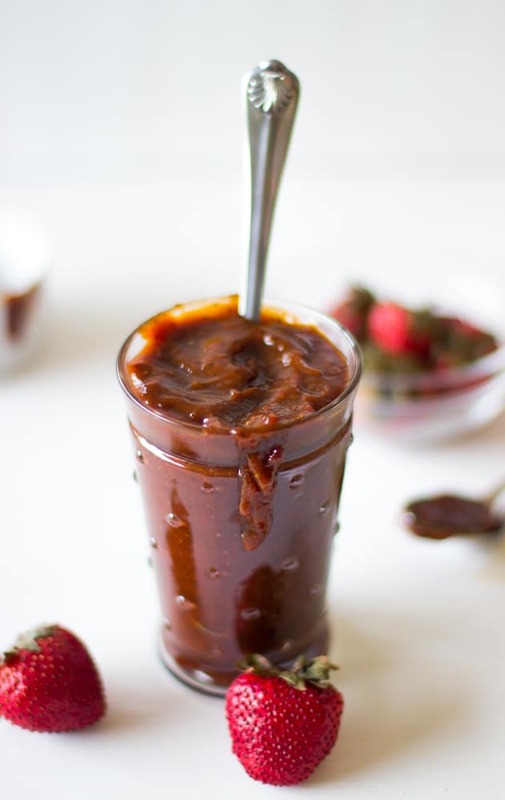 https://jessicainthekitchen.com/scotch-bonnet-pepper-hot-sauce-roasted-garlic-carrots/ If you’re looking for a great vegan bbq Annie’s is great: http://www.annies.com/products/condiments-sauces/organic-annies-original-bbq-sauce I hope that helps!